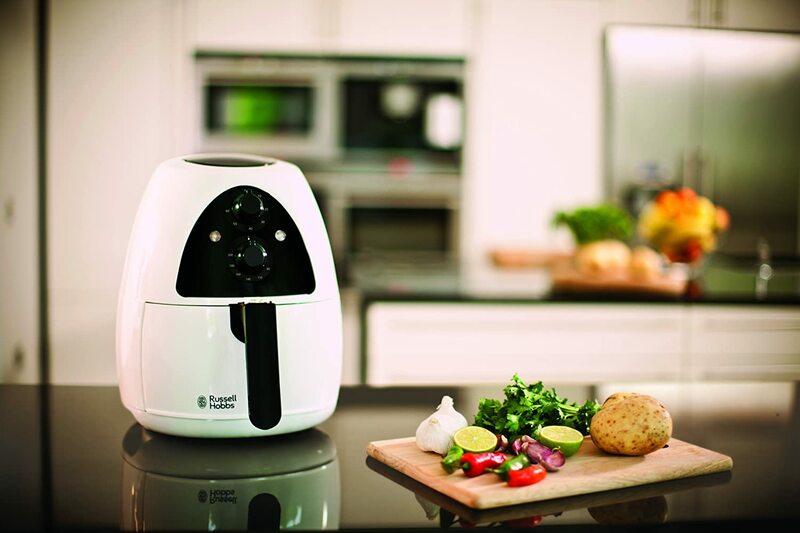 3 Which Air Fryer is the most suitable for you? Healthy Foods with our best air fryer reviews 2016. 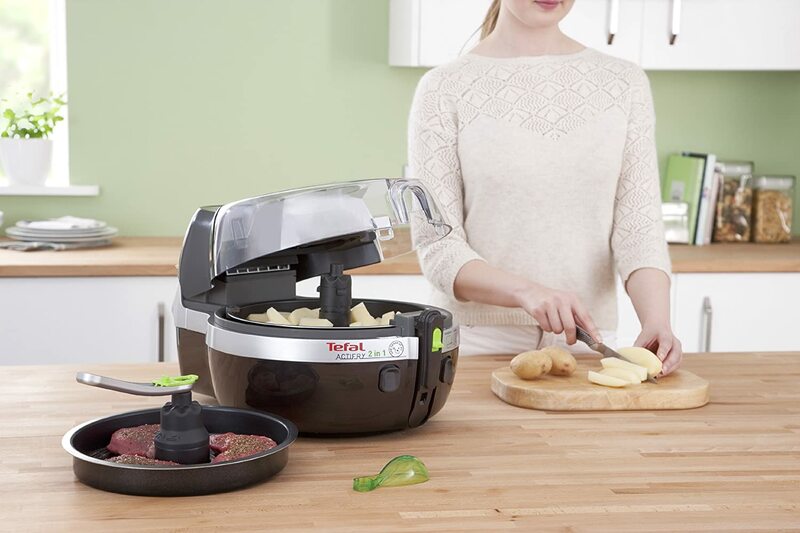 Low Fat Air Fryers like the Tefal air fryer ActiFry, can help balance your diet a little more. French fries (or chips) enjoy popularity all over the world not only in fast food restaurants but even in upmarket restaurants offer them in some form. But as you can imagine when they’re being fried in pure fat they’re not especially healthy. So is there any way of enjoying fries or nuggets without having to worry about your health? Indeed there is. Oil free fryers or no oil fryers are small kitchen machines that can fry your chips, nuggets and other foods without using any or just little oil but rather heated air therefore being named hot air fryers or simply air fryers. 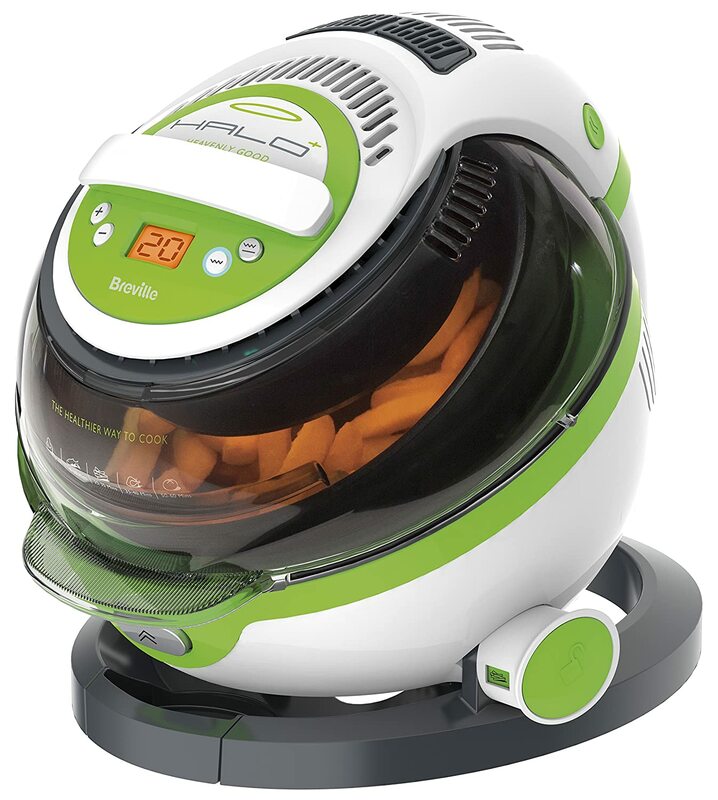 There are a range of brands which produce different models and styles, most importantly Philips air fryers, Tefal air fryers and Russell Hobbs air fryers. We have also tested a couple more in our air fryer reviews to let you know which air fryer brands are worth having, what the essential features are and where to find great offers and prices for the UK’s best air fryers. In this buying guide we’ll explain all you need to know for our best air fryer reviews 2016. “Exactly what is an air fryer?” you might ask. Frying without oil, a hot air fryer rather uses hot air technologies and can therefore be considered a dry fryer. It functions more like a microwave oven or standard oven. 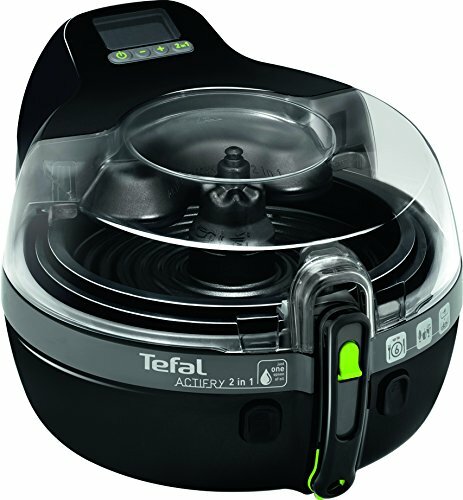 Frying without oil has the advantage of being able to make healthier chips, sausages and chicken though Tefal air fryers for example offer many more air fryer recipes. Leaving common deep fryers aside there are two main types of hot air fryers. We’ll present to you their main characteristics below. Fat Free Fryer These are also called oil free fryers or no oil fryers. As its name suggests, it fries completely without oil but with heated air inside a closed container. Philips air fryers or Tefal air fryers both have their own patented hot air technology, but the end result is usually less fatty, healthier foods than anything that’s been deep fried. Any excess oils that develop whilst frying are usually separately collected in an oil container. 2 in 1 Air Fryers These are also called low fat fryers. Low fat fryers work in a very similar way than normal oil free fryers. They just simply use a very little amount (usually 1 or 2 tea spoons) of oil to create a good balance between hot frying and oil frying, thus producing deliciously crispy results that are still healthier than usual fryers. They also allow you to make two foods at the same time with separate compartments. 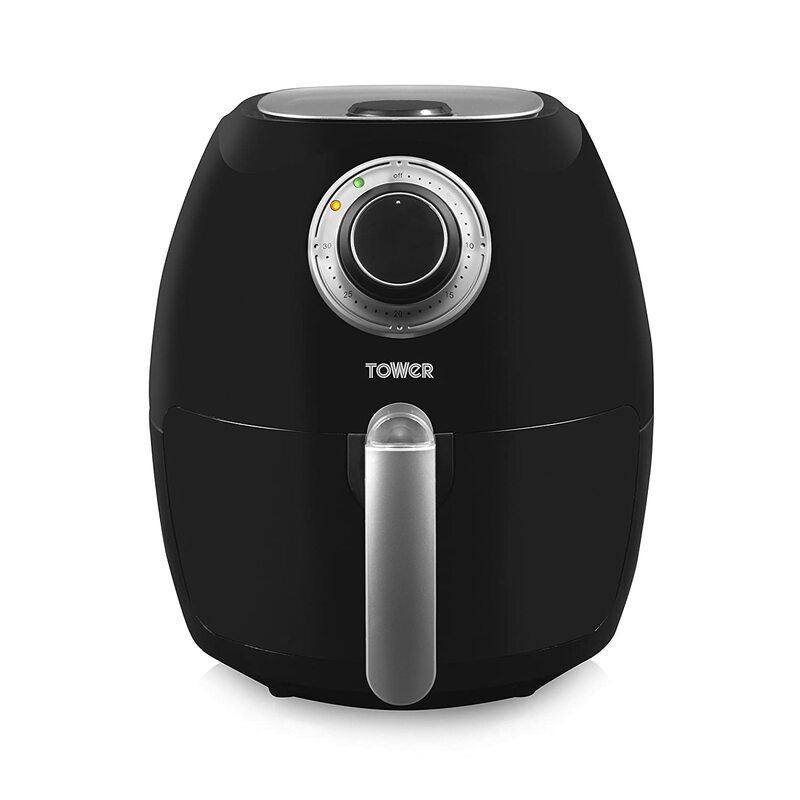 Let’s take a look at some pro’s and con’s that we came across during our best air fryer reviews. Which Air Fryer is the most suitable for you? Depending on your personal preferences and situation you’ll need a different kind of fryer. To find the best air fryer for you, just take a few moments to consider the following questions. Our best air fryer reviews found that most fryers are suitable for nearly any kitchen in the UK, but you need to know how much you want to spend, how often you’re going to use a dry fryer and which brands to pick from. Can I only make “fast food” in a fryer? A very clear no. Some air fryer microwaves and tower air fryers are a bit more like small ovens, meaning as long as it fits and you have the right settings you can fry nearly anything. Nearly every top-quality brand offers an air fryer recipe book that shows you how to make the most out of your healthy fryer. Also foods like chips, chicken and sausages are way healthier when fried in these devices. Would you like to buy a cheap air fryer? Without having to pick the cheapest air fryer you see you can actually buy a model that is high in quality and is at the same time a reasonably cheap air fryer. 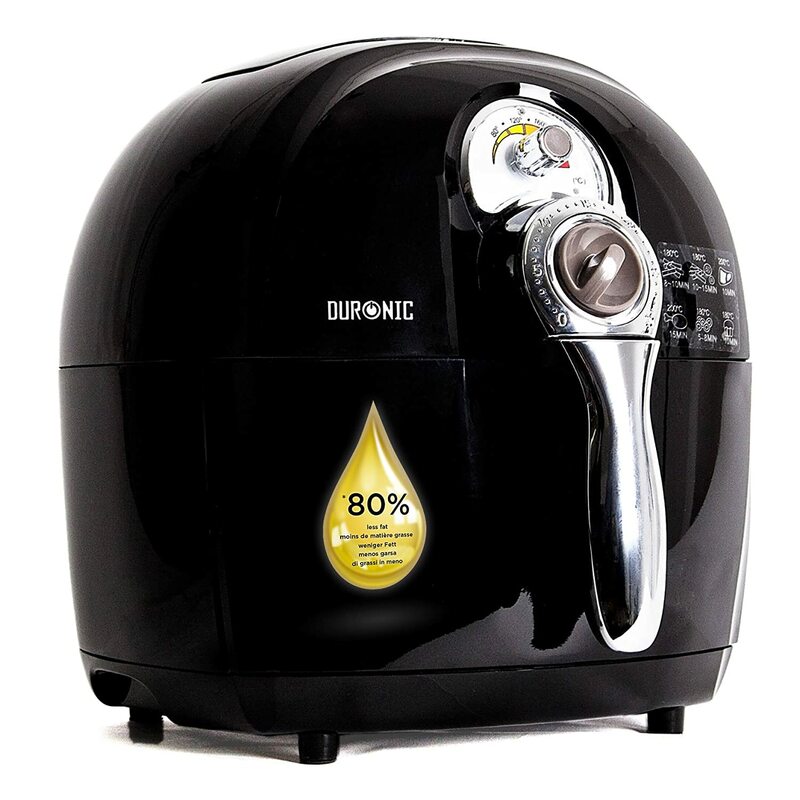 Online shops regularly have great air fryer deals and low prices on best buy brands which is worth taking a look at. Also stores like Tesco, Asda or Curry’s have air fryer sales at some point during the year. If you view our best air fryer reviews at the top of the page you’ll see our best value for money pick, the “price-tip”. This is our personal choice of best cheap air fryers, as it shines with good quality and an affordable price. Would you like an easy to use air fryer? In general every fryer is easy to use, though some features are essential in order to give every fry a crispy, delicious result. 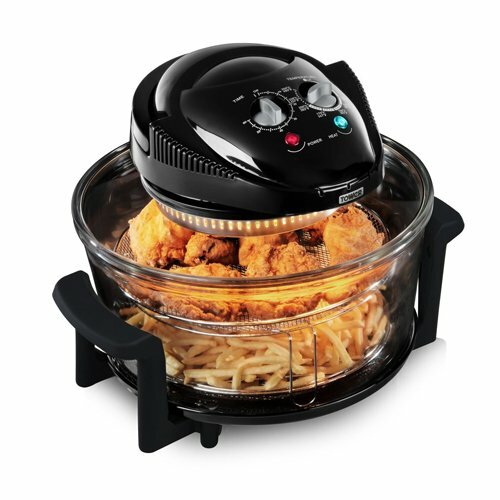 For example the best air fryers need a timer so that all you need to do is insert the fries set the timer to 15 or 20 min and let them fry whilst you can continue preparing the meal. 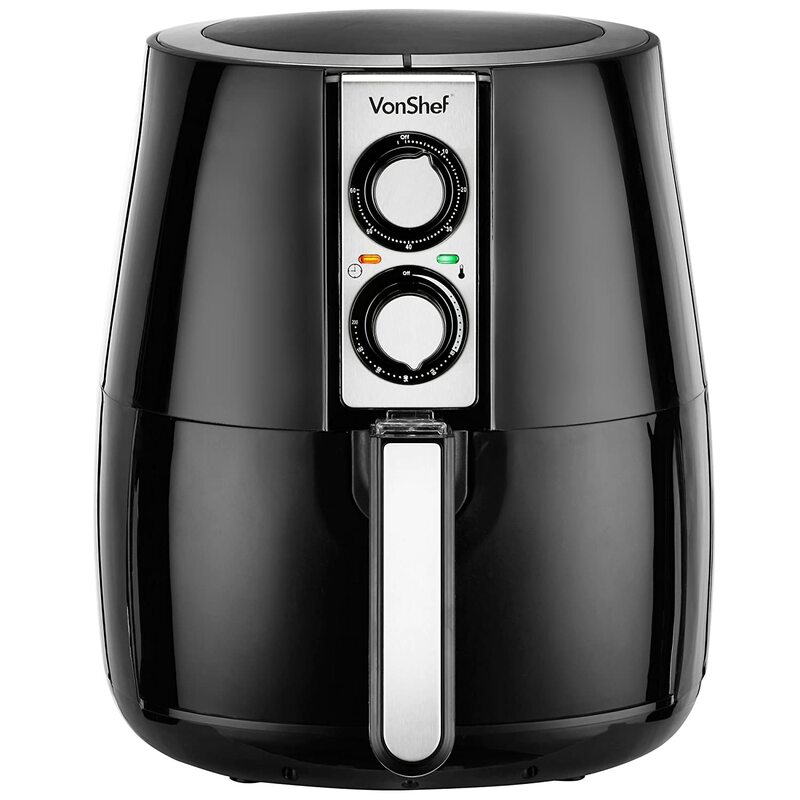 Would you like the UK’s the best air fryer? If you’re intent on directly buying the UK’s best air fryer without further having to look into all of specifications then take a look at our reviews 2016 at the top of the page our winning choice and the best selling hot air fryer in the country. We looked at all the specs in our product reviews and concluded that the Tefal air fryer ActiFry 2 in 1 is currently the best air fryer on the market though currently the Philips air fryer HD9220/20 is the most favoured choice in UK. Our best air fryer reviews showed that there are currently loads of Brands that produce some pretty good models. Russell Hobbs Air Fryers are a very popular choice in the UK and also produce a good range of cheap air fryers that still come in good quality. Below we have listed some of the best air fryer brands and some models which could be of interest for you. Russell Hobbs air fryers like the 20810 purifry health fryer we're amongst the best buys in our best air fryer reviews 2016. Because of the way oil free fryers fry they are much healthier than deep fat fryers. But not only that, fat free fryers can be very versatile and function as not only a chip fryer but also an air fryer microwave or even an oven like device giving you loads of new and different ways to prepare meals. How long does a chip Fryer need for the perfect chip crispness? This of course depends on the model itself. If it is big and has a high capacity, you’ll get more in it but it’ll take longer than a little portion in a small air fryer. Usually it takes 15- 20 min for chips to reach an ideal crispness, but if your hot air fryer has a clear view window you can decide yourself when to take them out. Will it be a struggle cleaning the Hot air fryer? You'll probably get away with a some great air fryer deals online right now. We've seen Philips and Russell Hobbs air fryers for under £80! 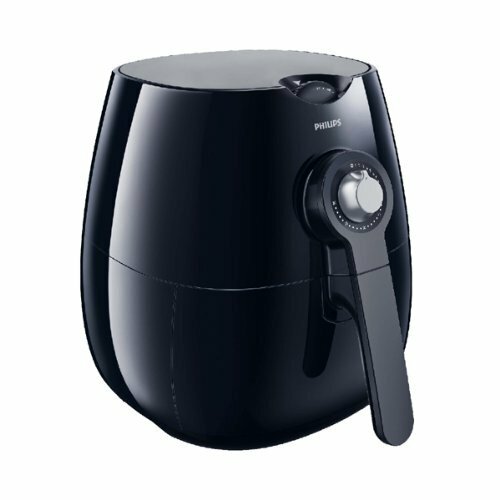 Our air fryer reviews also focused on how easy our best buy devices are to clean simply because the struggle of cleansing is often an absolute motivational killer for using the machine again. Though thankfully, nearly all models we tested but especially the best buys we’re 100% dishwasher safe. So after usage you just need to dismantle the device and stick the separate parts in the dishwasher, done.